Global broadcast is such an integral part of life in the 21st Century that is is easy to forget is was but a few decades ago that the broadcast industry was in its infancy. 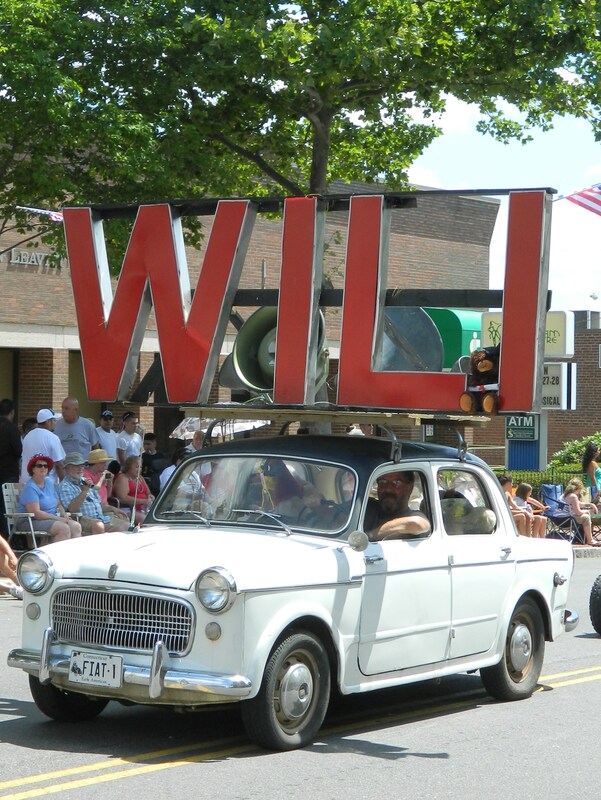 Today marks the 60th anniversary of the sign-on for WILI in Willimantic/Windham, Connecticut. The radio station reports it welcomed listeners that morning with a pop favorite of 1957, “Wake Up Little Susie” by the Everly Brothers. The lyrics of the tune reveal a more innocent time. Tucked away in part of the Nutmeg State’s “Quiet Corner”, it is noteworthy that WILI is home to the “longest continuously running morning show” hosted by local radio personality, Wayne Norman. He began his career at the station in 1970. According to the WILI website, Norman has served as a color analyst for University of Connecticut basketball and football games since 1979, done play-by-play for Eastern Connecticut State University baseball, as well as, covering numerous American Legion and Windham High School games. 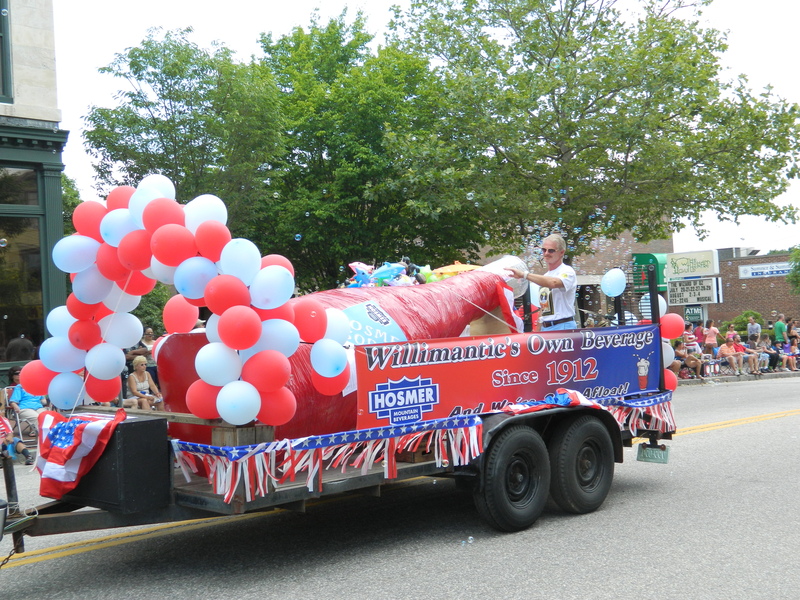 WILI is known too for its part in helping to preserve the town’s annual Fourth of July Parade.The station’s role in this tale of Yankee Ingenuity has been well-told by now, but is appropriate to repeat on this anniversary day. Circumstances were such that Willimantic/Windham was not going to be able to hold a Fourth of July Parade when the idea for a Boom Box Parade was presented. WILI would broadcast patriotic tunes and anyone interested in marching could do so while carrying a boom box tuned to WILI. The Boom Box Parade was a hit and has become a tradition. 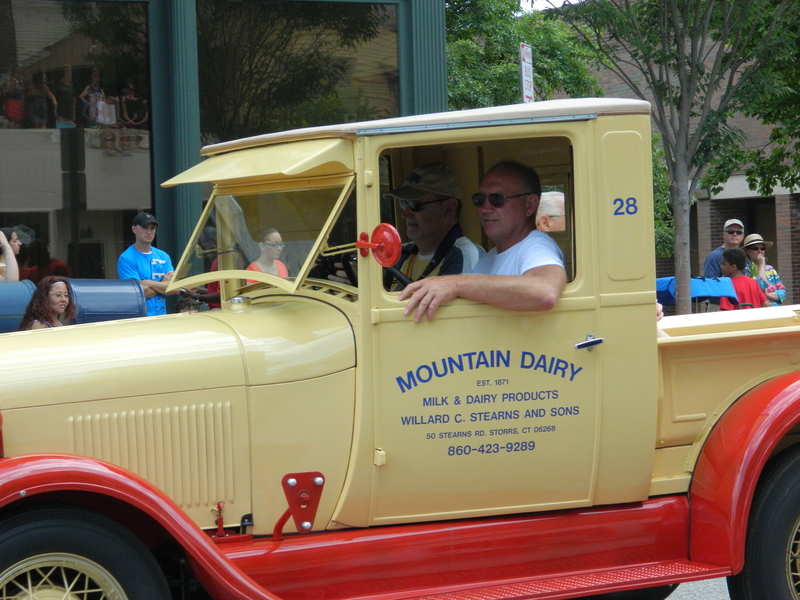 Mountain Dairy milk takes part in the 2013 Boom Box Parade. 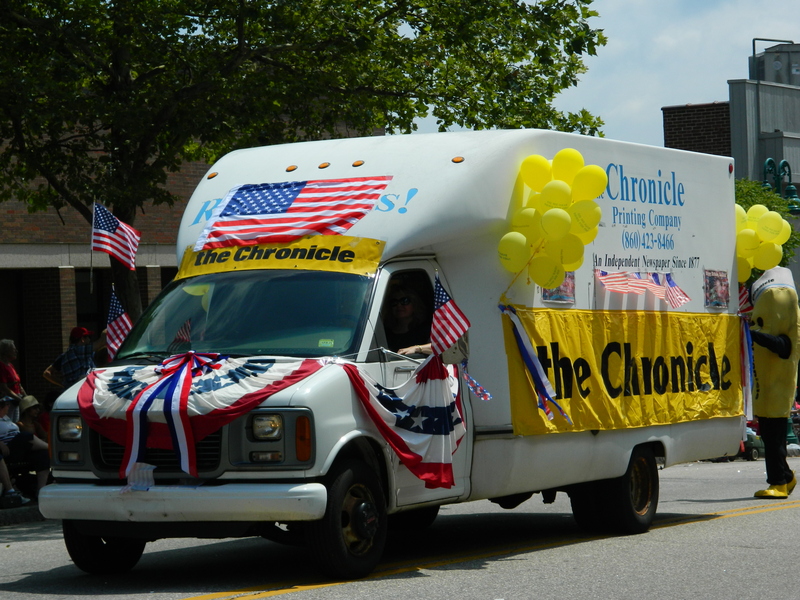 It is a noteworthy aside that this small town in eastern Connectcut is home not only to a flourishing radio station, but also a university -ECSU – renown for having graduated some of Connecticut’s best teachers, and an increasing rarity – an independently owned newspaper called “The Chronicle”. In addition, the area is home to family businesses that have withstood the test of time and competition, such as Hosmer Mountain soda and Mountain Dairy milk. Should the spirit move you today to step back in time, Wayne Norman is expected be play tunes from 1957 throughout the day and News Director Mike Morrisette will share 1957 news reports.